Since SEGA Superstars was released in Japan a month or so after the American release, Sonic Team decided to go back and do some [unecessary] changes to the intoduction video. This is from the English version. 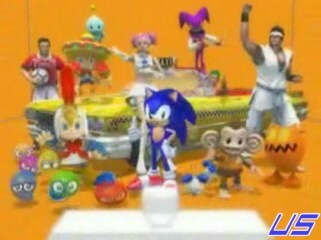 Sonic in the middle, Amigo on top of the Taxi, KapuKapus to the right, and Puyos to the left. In the Japanese version, everyone has been moved around, and the angle of the shot has been changed. 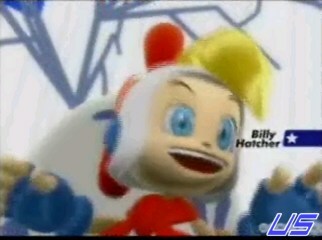 In the first Japanese Intro video, when a character popped up, text would come on the screen telling you which series they're from. 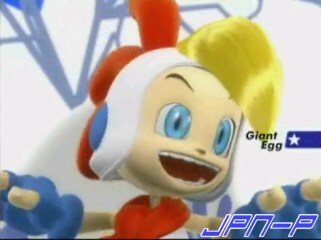 The Japanese version of "Billy Hatcher & The Giant Egg" was called "Giant Egg: Billy Hatcher's Great Adventure", so it shows up as "Giant Egg". 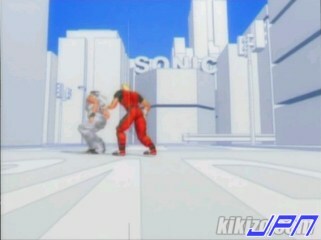 The first US version of the intro had the English writing for the games, but also had lowercase letters through the whole name. The final US opening had Capital Letters through the names. The final Japanese intro appears to have no writing at all! 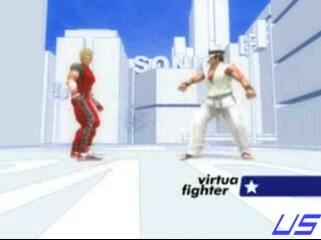 All videos except the final JPN one have this short bit on the Virtua Fighter characters getting ready for a fight, then Sonic twirling around them, with the VF guys getting confused. The final Japanese video, Akira & Jacky get into a bit more of a fight, throwing Kicks and Jabs at each other. Once Sonic runs around them, they jump off after them for a little bit. Amigo, AiAi, and Ulala watch as Sonic and company pass them. Ulala is crouched over, and twists around watching the characters pass in the US version. 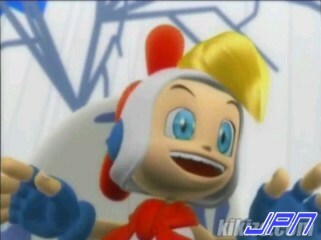 In the Japanese version, Ulala is standing upright, and reacts differently to the US version. 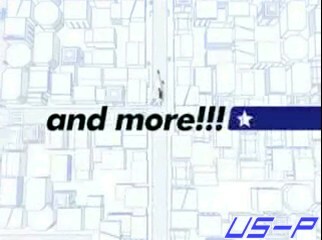 The American prototype intro also had this "and more!!!" text added to the end of the CGI section. 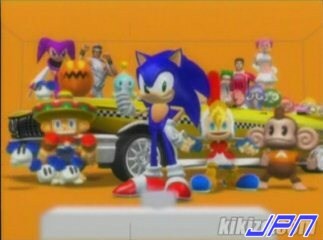 This was the only time is was shown, every other video just has Sonic and company racing around the streets.